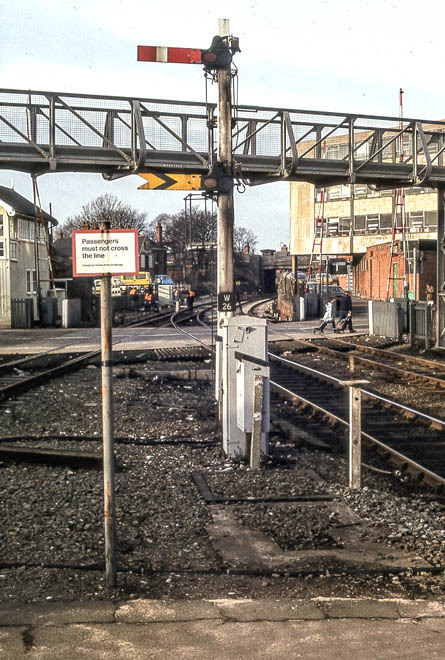 contol was transferred to an extended panel at Pasture Street. 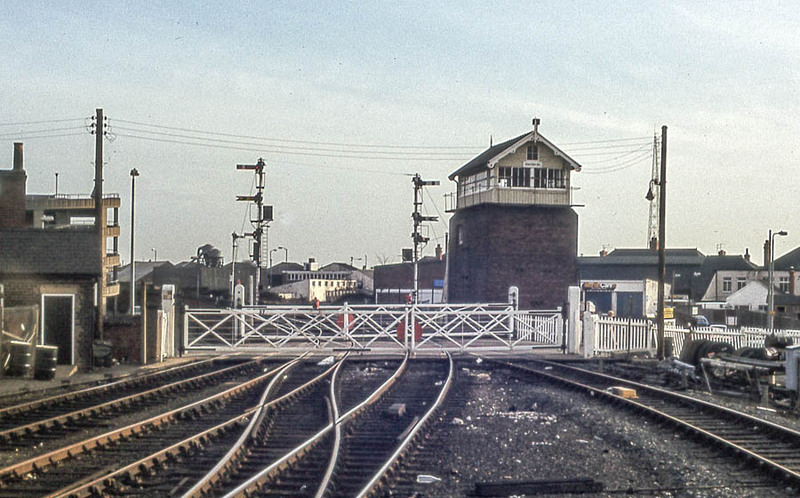 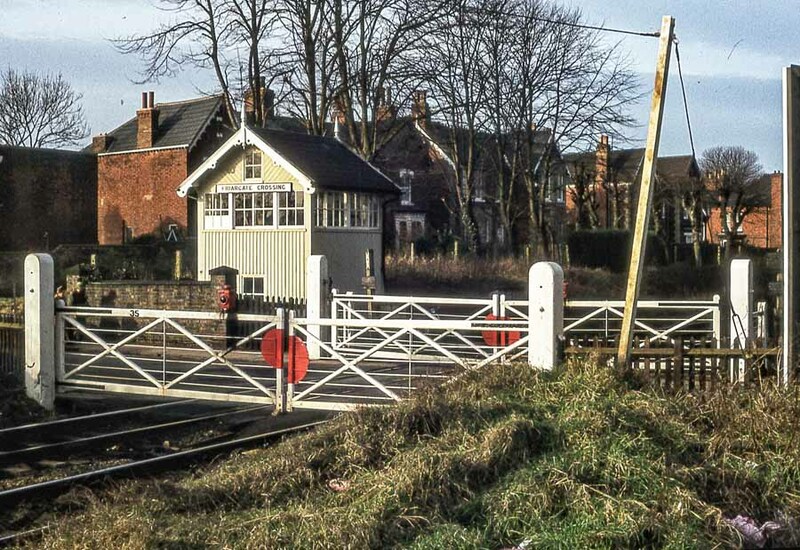 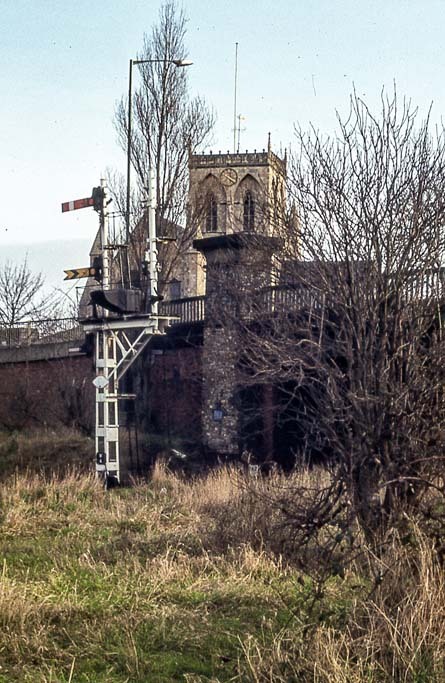 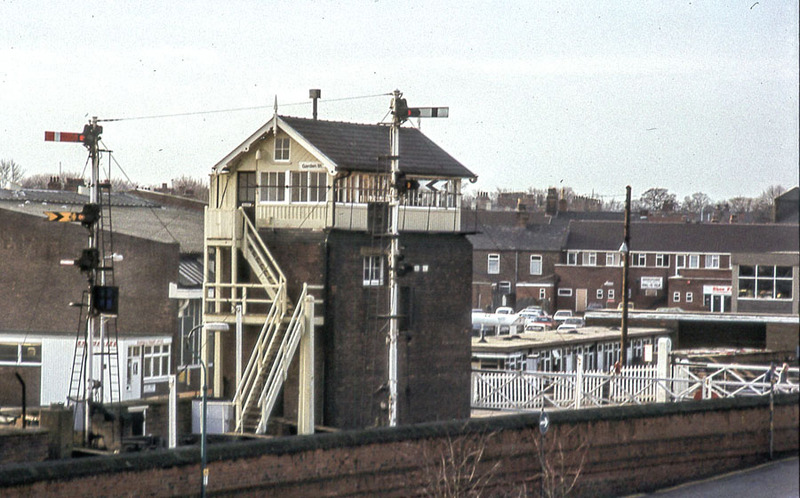 Garden Street level crossing and signalbox seen from Grimsby Town station looking towards Cleethorpes in 1985. 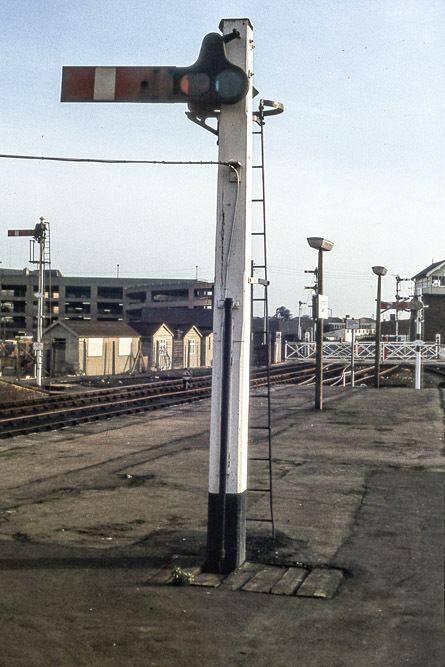 Left: Garden Street Platform 3 up home on platform. 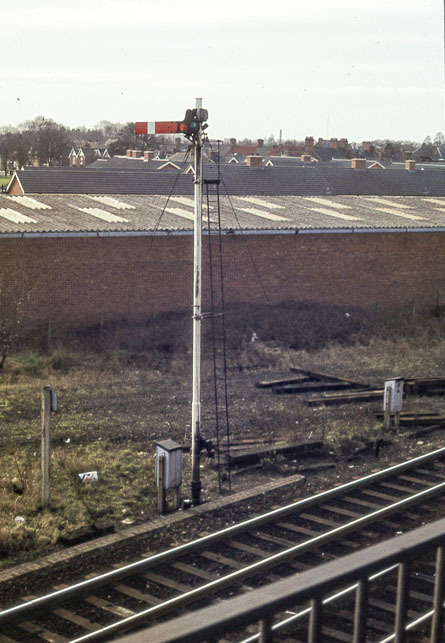 Right: New Platform 3 home signal brought into use on 3rd Feb 1985. 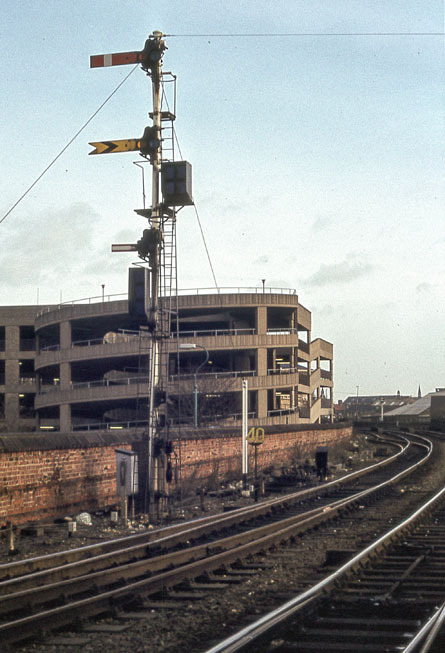 Left: Wellowgate Platform 3 Down Home and Friargate Down Distant. 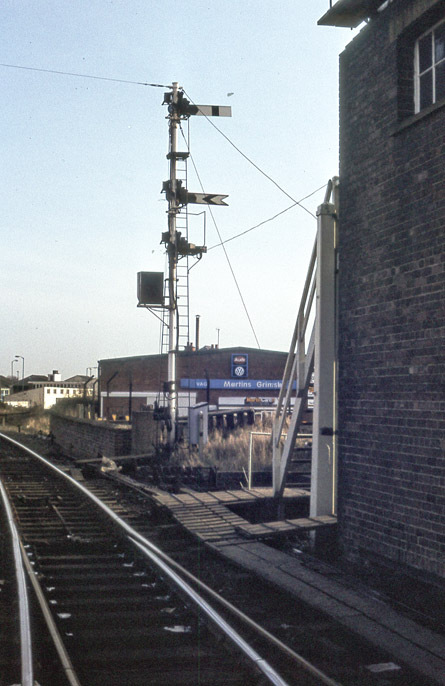 Right: Wellowgate Platform 2 Down Home and Friargate Down Distant. 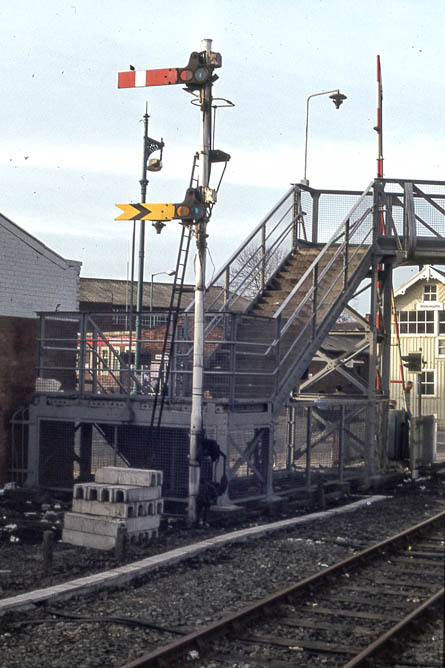 Friargate Crossing box was later destroyed in a fire and had barriers installed. 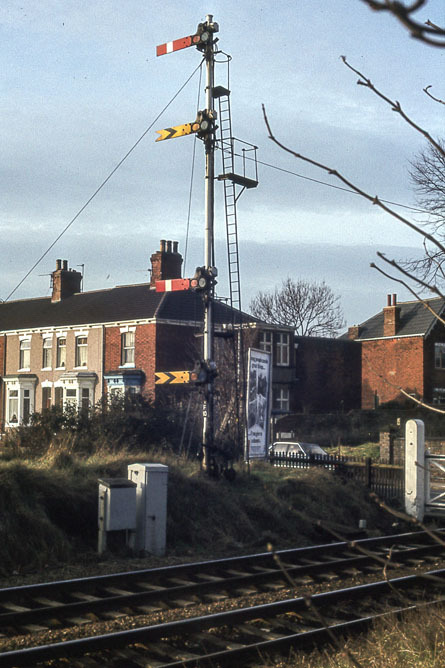 Left: Friargate Down Home and Littlefield Lane down Distant. 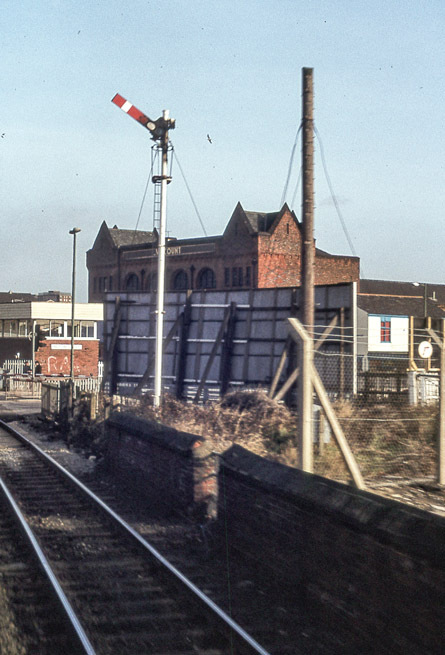 Right: Friargate Up Home and Wellowgate Up Distant. 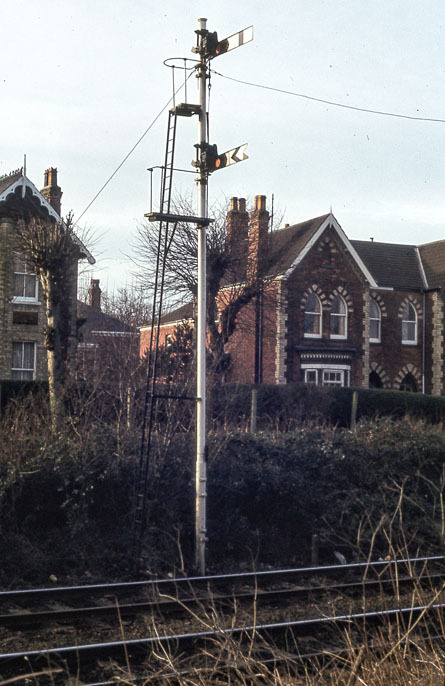 Pasture Street Up Inner Home repeater. 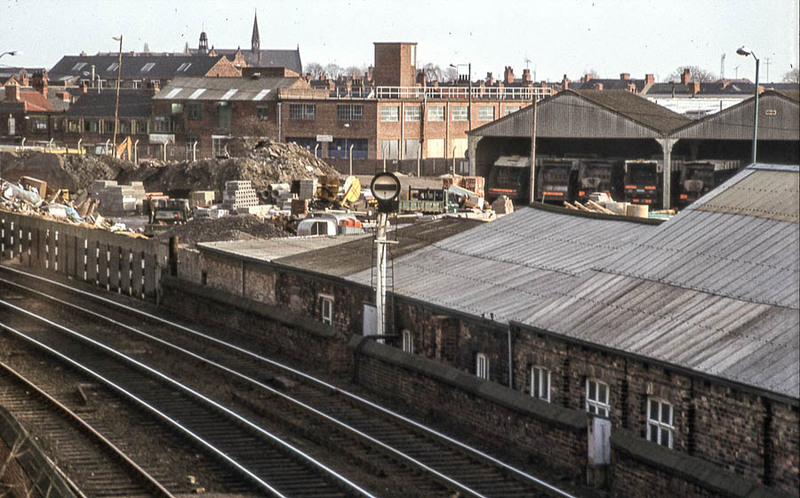 Left: Garden Street Down Outer Home with ex GNR trackbed from Louth beyond. 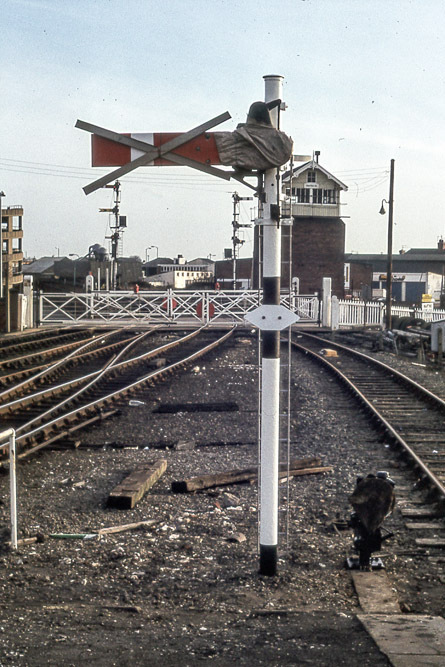 Right: Garden Street Down Inner Home and Fixed Distant. 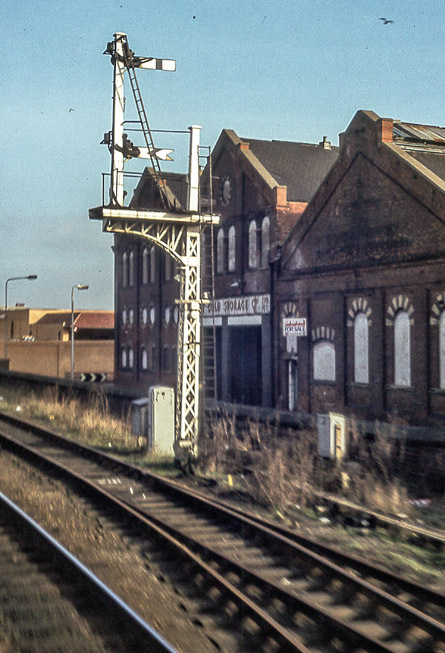 Right: Pasture Street Down Home and Distant.